Sorry, but the eclipse had to interrupt this silly game. Perhaps this will help. Perhaps not. For comparison the box on top is my 1957ish Unitron 114's OTA box. The scope inside the bottom box came with a tripod, but it doesn't have a box, and I don't know if it ever did? Edited by Kasmos, 21 January 2019 - 02:44 AM. Edited by Defenderslideguitar, 21 January 2019 - 06:19 PM. Whatever it is it looks very interesting. Asahi? It looks pre-Unitron Nihin-Seiko, ~1950. Is this the one we discussed a couple of weeks ago? I made the same prognosis then. Good find! Edited by terraclarke, 21 January 2019 - 10:33 PM. I'll be giving it it's own topic soon. Edited by Kasmos, 22 January 2019 - 03:35 AM. Several times I'll see a scope for sale and get the feeling that somehow things will workout and I'll end up with it. That feeling (The Force? ), was especially strong with the '74 C5, the second Sky Chief, the 114, and now this Soligor. Good! 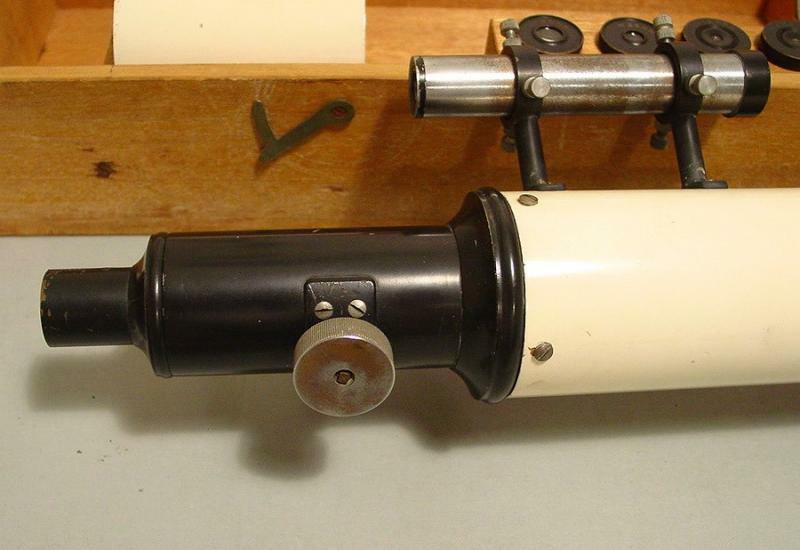 This scope deserves a thread -- very old & rare & downright cool! 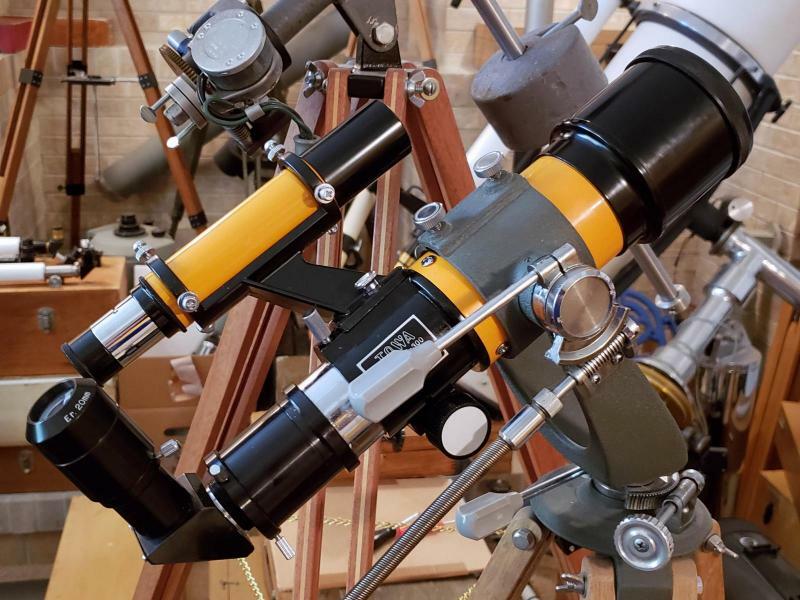 Only four Soligor refractors have ever come to light on CN, and yours is the oldest, Chris. Very nice find, looking forward to the dedicated thread! Looks like it has a Unitron finder. There's always been a spot in my arsenal for a super-short 60mm, when you don't have space for an 80mm, which of course would be preferable. I've had Tasco 9VR, 99VR, Pentax J60C, and what beat them was the Vixen Mini-60s, basically a Vixen branded 9VR but with noticeable detail improvements. 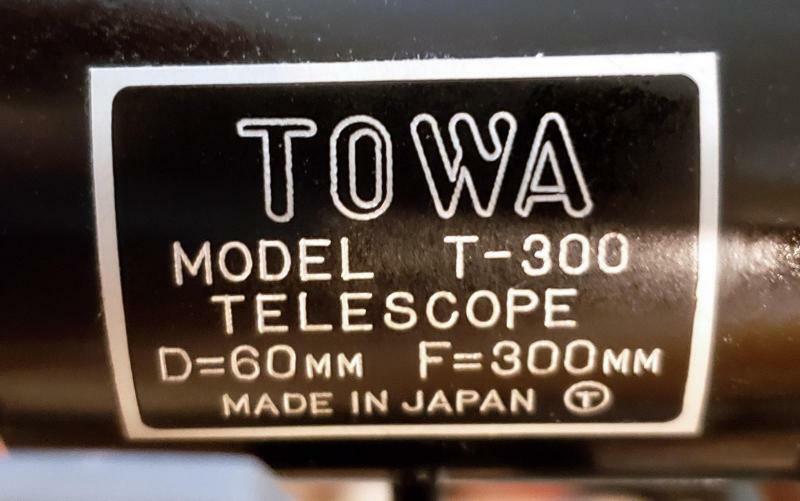 So when I saw this Towa T-300 on eBay, I watched it curiously. I also had a few bucks in my pocket from a recent big scope sale burning a hole in my pocket. I had never seen one and since it was late Towa I was highly skeptical of the optical quality, especially at f/5. It ended with no bids, but was relisted ten bucks cheaper, so I bought it. Almost immediately I had buyer's remorse, sure that I had bought something that Terra would unleash the howling hounds at. The low price didn't salve my conscience. To my surprise, I found a very nice little setup. The mounting clamp was broken and unuseable but I think I can repair it, it appears to be reinforced thermoplastic. If not I have an alternative. 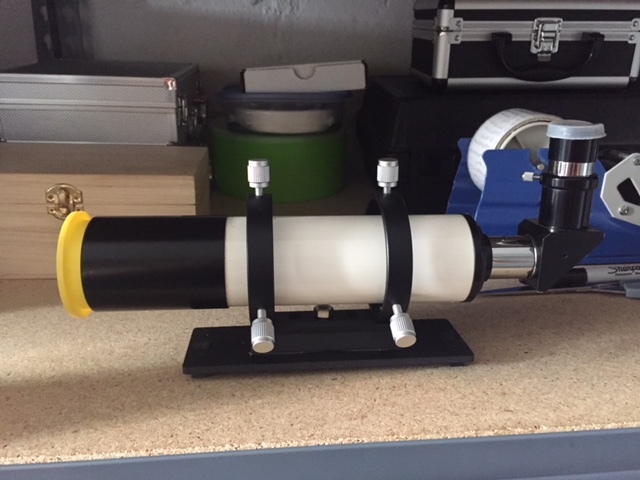 For now I am testing it in my orphan Manon mount that serves many 60mm OTAs. This one surely has the record for shortness. What I thought might be fungus turned out to be just dust and crud on R4. The objective cleaned off perfectly, revealing perfect coatings. It uses a plastic ring spacer between the elements so I wasn't hoping for much. However, on the test stand, it showed a very smooth figure with a 133lpi Ronchi. Daylight tests show very crisp images. The objective is not stopped-down internally to a reduced effective aperture. 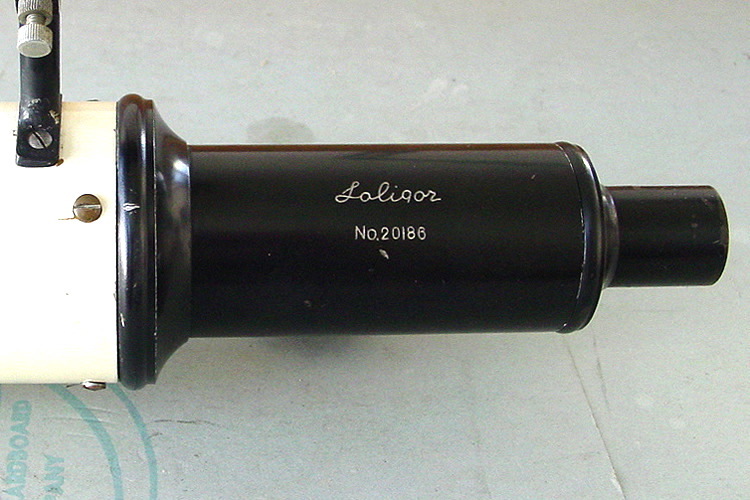 The focusing tube is oversized, I think it could be T-threads throughout. I need to test some T extensions in it on the weekend. 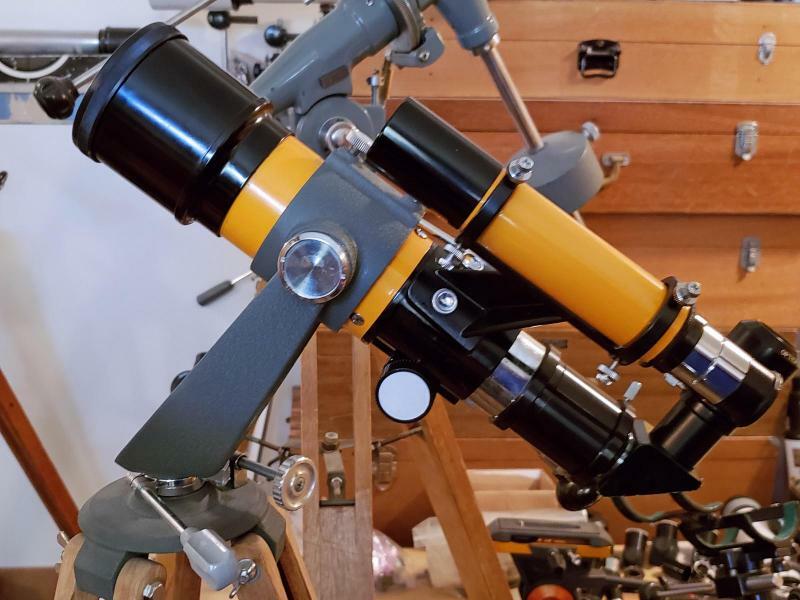 The whole thing was optimized for photographers, not visual use with .965" eyepieces. The fully illuminated field is huge compared to the 10mm to 12mm on most long classic export refractors. 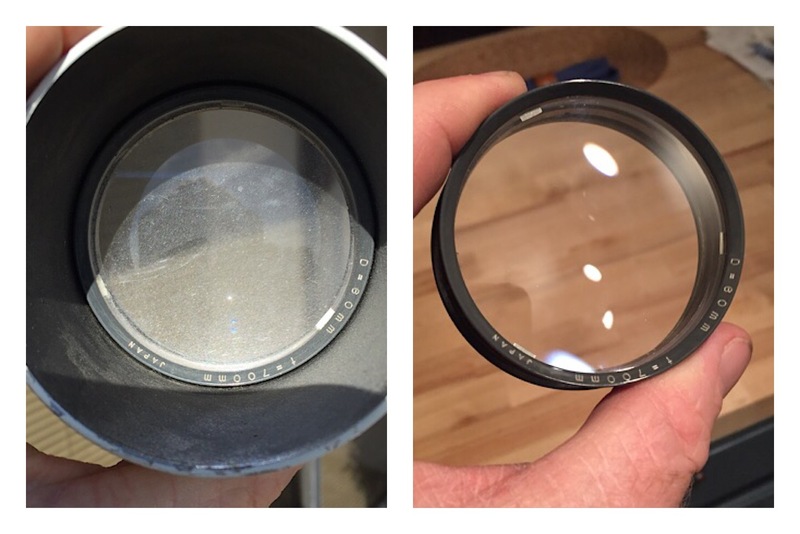 The included .965" diagonal is a prism, in my opinion this objective is too fast for a prism. All of my hybrid diagonals use prisms, so until I can get a mirror diagonal to fit, I'll use the Parks hybrid. The finder objective cleaned up well also. It needs new cross-hairs, not a hard task. So I think the Vixen might have a run for it's money, but I still need to look at the sky with it so stay tuned. The Vixen sets a high bar though. The Towa is rock-solid on the Manon mount. The orange color is hard to get used to. A late Towa with an objective this nice is so out of my experience. The universe got a little friendlier. That 30mm finder was one of the best made as Meade sold them back in the later 70's. That’s a cute little 60mm ‘shorty’ Chuck. I like the color. Overall, it looks pretty robust; the t-threads are a nice addition. Thanks Terra. Honestly, I was nearly to the point of avoiding late-production Towa scopes entirely, so this was a breath of fresh air. They actually could sell a very good objective if they wanted to. I'll post more photos in coming days, as time permits. 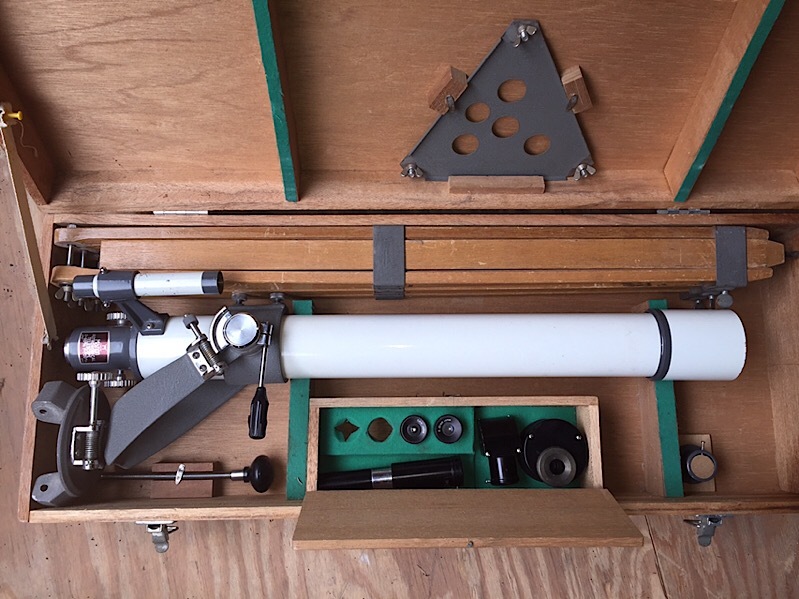 I need to get familiar with all of the accessories and nail-down that large-diameter focuser thread. 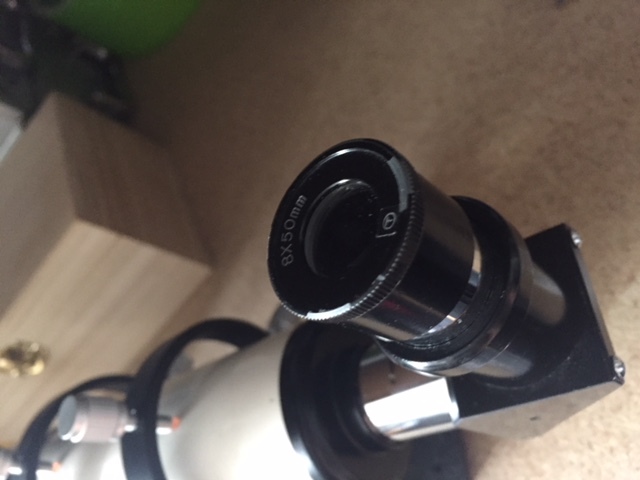 With the proper adapter, this scope could take many 2" eyepieces with very minimal vignetting, thanks to the large-bore focuser. Not quite 2", but close. You’re welcome Chuck! Perhaps that comes from their ability to make good finders? Well, honestly 8X isn't going to tax even the worst achromatic objective. And they sold their share of howler finders, to be sure. I made the mistake of looking on Facebook Market Place and found that there was a Shrine Manon for sale locally. It had been on there for over a week, and for $75 I couldn't pass it up. The bad part is, I told my Classicaholic sponser that I was going to get it, but he didn't try and stop me! It looks like I got lucky as it doesn't look like the previous owner ever touched the glass. A gentle cleaning uncovered perfect glass. Not a mark on it! And it's a complete kit. Very nice, Keith! 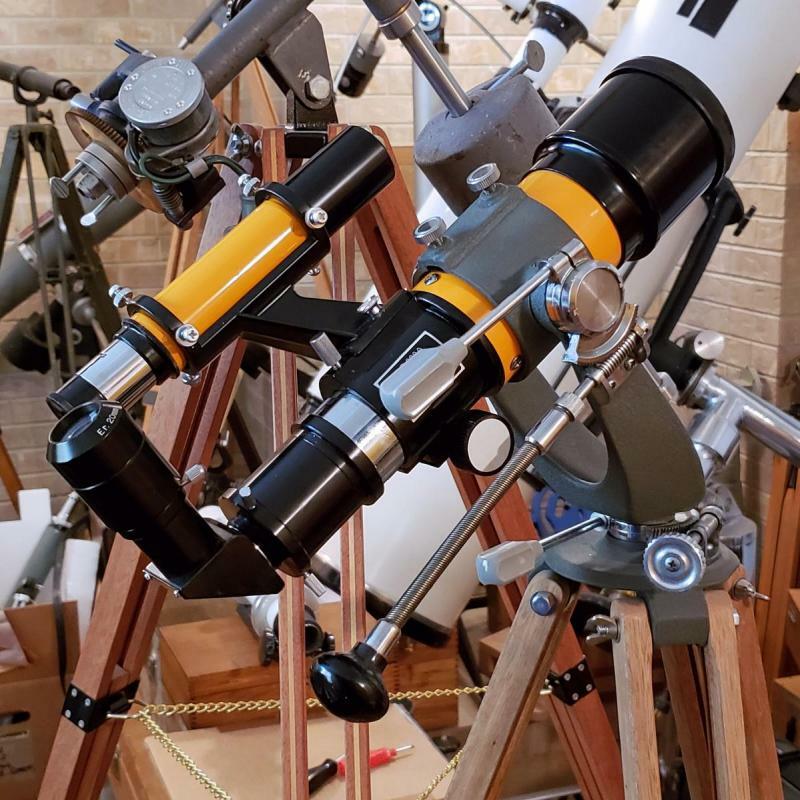 These are excellent telescopes. It's your fault, with all those posts about how good they are! Mighty Fine Shrine -- that lens do shine! Is it a Hiyoshi version? The poets are in the house tonight! It's an APL version JW.